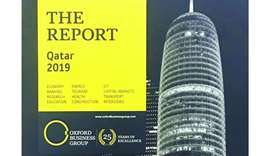 Shariah-compliant funds are emerging as an “increasingly popular” investment instrument in markets across the region, and Qatar is playing an important role in this expansion, a new report has shown. 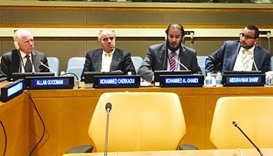 HE the Deputy Prime Minister and Foreign Minister Sheikh Mohamed bin Abdulrahman al-Thani has said Qatar was "determined to be a force for good in the world, and to play an active role in promoting peace." Fintech remains a priority and QDB recently launched the ‘IBM Innovation Hub Doha’ during the Global Entrepreneurship Week, said bank’s CEO Abdulaziz bin Nasser al-Khalifa. Qatar Charity (QC) has held a special event to discuss the role of education in promoting social harmony in post-conflict areas.